About the Company | VGO Inc.
VGO is located in the heart of Portland, Oregon in the Central Eastside Industrial District. We maintain a 10,000 sq-ft facility which houses our test laboratory, machine shop, field equipment, metallurgical lab, and offices. VGO, Inc. was founded in 1970 as Van Gulik & Associates, Inc., by Joe Van Gulik, P.E. In the early years, the work focused on electrical transmission and distribution projects such as electrical substations, switchgear, and transmission lines. In 1985, the firm changed its name to Van Gulik/Oliver, Inc. when Paul Oliver, P.E. joined the company. By this time, the firm was performing a wide array of mechanical and electrical projects, many of which included instrumentation and forensic studies. The special expertise required to reliably make field measurements and perform accurate forensic studies afforded the firm a reputation for diligence and reliable engineering opinions. Dave Van Dyke, P.E. purchased the company in 2005 and VGO re-focused on the Testing, Inspection, and Failure Analysis work that we are known for today. VGO has assembled a team of highly-qualified individuals whose technical backgrounds complement each other, allowing us to holistically approach engineering problems. This diversity in expertise, focused around the common theme of mechanical and materials consulting, provides customers with the knowledge and experience required for successful results. Dave received his introduction to the world of engineering while working as a machinist to pay his way studying for a Bachelor’s degree in Mechanical Engineering. The shop focused on large industrial equipment repair, which gave Dave a hands-on feel for machinery and a front row seat for investigating many different industrial failures. After working in the machinery repair business for a number of years, Dave went back to school and earned a Master’s degree in Mechanical Engineering, focusing on advanced Finite Element Analysis. Dave then began working at a company that performed metallurgical failure analysis. He began combining his knowledge of continuum mechanics and fracture mechanics with physical metallurgy and found that he could derive much more insight into the root cause of failure with the synergy of these methods. When an opportunity arose in 2005 to put this problem-solving approach into practice full time, Dave purchased VGO and has continued practicing the synergistic approach to failures and mechanical engineering problems, which provides clients with unique solution paths. In his free time, Dave enjoys spending time hiking and skiing with his wife Serin, and his two kids Kira and Calvin. Dave is also an FAA licensed pilot and enjoys taking friends for flights on sunny days around Portland. After spending 5 years in the Marine Corps as an Ordnance Technician, Rob returned to his home town of Portland, Oregon and earned a Bachelor’s degree in Mechanical Engineering. Following graduation, Rob began working for a testing and failure analysis company, where he quickly rose to a project management role. 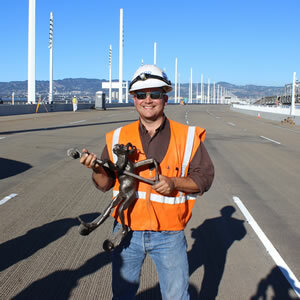 After managing a project assessing the fracture critical electro-slag welds on the Fremont Bridge, Rob realized that field management of engineering projects fit his personality and skill set. 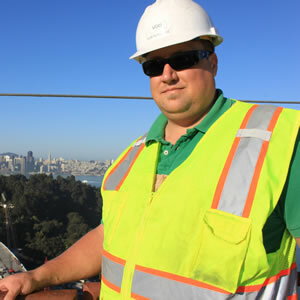 Rob went on to improve his knowledge of material science while completing a Master’s degree in Mechanical Engineering from Portland State University. During that time, he worked at VGO part time while attending classes. While finishing his degree, Rob moved to a full-time position at VGO and has since grown to become the Vice President, overseeing the day-to-day operations. When Rob isn’t at work, he enjoys taking his Harley (‘02 Fatboy) on long road trips or BBQing on the smoker he custom built using scrap from the construction of the Oakland Bay Bridge. Whether it’s fitting a fuel-injected Subaru motor into his VW Baja Bug or welding custom steel fountains for the yard, Rob always has a project or three he is tinkering with. 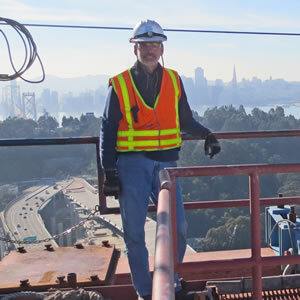 Bob has been actively involved in consulting engineering in the Northwest for over 40 years. Before he came to work for VGO in 2009, he managed a testing and failure analysis firm which he had been with since the start of his engineering career. Bob brings a wealth of engineering knowledge and experience to the team. His areas of expertise include non-destructive inspection, fitness-for-purpose evaluations, and failure investigations on a wide variety of industrial products and components, including pressure vessels, tanks, boilers, bridges, presses, boiler tubes, and pipelines. Bob is at home working in the field and has performed countless assessments of industrial equipment, with a focus on maintaining serviceability and reducing down-time. Bob has a Master’s degree in Mechanical Engineering (along with a Bachelor’s degree in Physics), and is a licensed Mechanical Engineer in Oregon, Washington, and Montana. Bob and his wife spend every weekend they can outdoors, camping and kayaking in the summer, spring and fall, and snow shoeing in the winter.